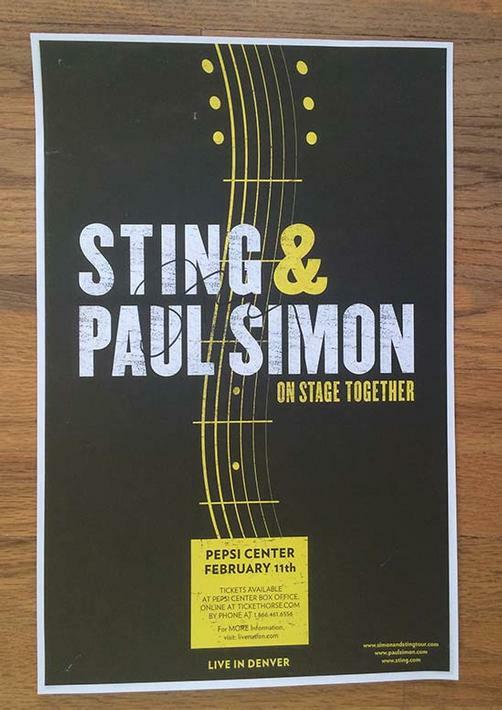 Autographed concert poster for Sting and Paul Simon at The Pepsi Center in Denver, CO in 2014. 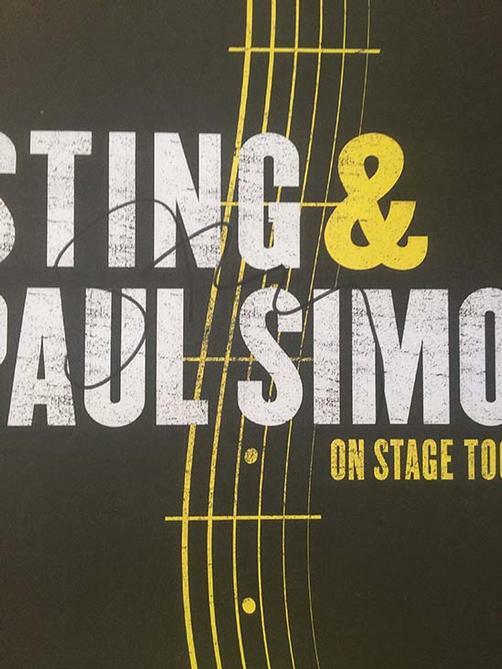 HAND-SIGNED BY STING. 11 x 17 inches on card stock. Includes a Certificate of Authenticity. Light handling marks.